We are honored to announce that Rear Admiral Robert H. Shumaker, USN (Ret), will deliver the annual David Leighton Lecture at the 2013 Naval Historical Foundation Annual Meeting. Bob Shumaker was born in New Castle, Pennsylvania where his parents, Alvah and Eleanor, were a lawyer and a writer, respectively. He attended Northwestern University for a year and then the U. S. Naval Academy, graduating in 1956. After flight training, Shumaker eventually joined VF-32, a fighter squadron in Jacksonville, Florida. He was a finalist in the Apollo astronaut selection, but a temporary physical ailment prevented his selection. A 1964 graduate of the U. S. Naval Postgraduate School with a masters degree in aeronautical engineering, Shumaker joined VF-154 in San Diego, California. About this time he married Lorraine Shaw of Montreal. In February 1965, while flying an F8 Crusader, he was shot down on a mission over North Vietnam, was captured, and spent the next eight years as a POW. His fellow POW’s consider him as a resister, leader and patriot. In 1973 he was repatriated and resumed studies, which eventually led to a doctorate degree in electrical engineering. 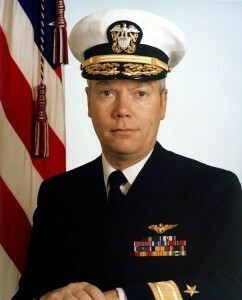 As a Captain he was a government project manager for smart missiles at the Naval Air Systems Command. In 1983 he was promoted to the rank of Commodore and became the Superintendent of the Naval Postgraduate School in Monterey, California. At the Pentagon in 1986, as a Rear Admiral, he was responsible for coordinating the research efforts of the Navy’s air, surface, electronics and space activities. 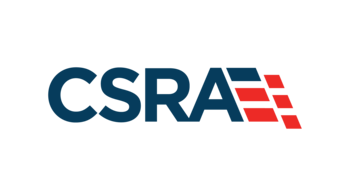 He retired from the Navy in 1989 and became an assistant dean at The George Washington University and later became the associate dean of the Center for Aerospace Sciences at the University of North Dakota, from which he retired in 1991. Admiral Shumaker’s military decorations include the Distinguished Service Medal, two Silver Stars, four Legions of Merit, the Distinguished Flying Cross, a Bronze Star, and two Purple Hearts. In 2011 he was presented with the Distinguished Graduate Award from the U. S. Naval Academy. He and his wife now live in Fairfax Station, Virginia where his hobbies are golfing and flying. Their son Grant is a neurosurgeon in Sioux City, Iowa. The annual Leighton Lecture was created to highlight a unique aspect of naval history for the members of the Foundation. It is named in honor of David T. Leighton, a 1945 graduate of the United States Naval Academy, who was the first-ever student to receive a degree in nuclear engineering at the Massachusetts Institute of Technology and served with Admiral Hyman G. Rickover at the Division of Naval Reactors. Hailing from a Navy family, Leighton has been a strong supporter of the NHF Cold War Gallery project. 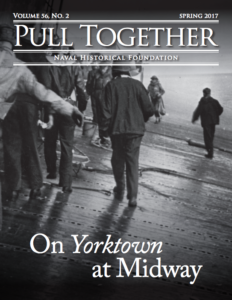 The lecture series is intended to feature individuals who contributed to the making of naval history. I am trying to contact Adm Shumaker as I was his liaison officer at Balboa Hospital upon his return. In Recognition of POW/MIA month; Rear Admiral Robert Shumaker will be speaking at the Freedom Museum on 22 SEP 2014 @ 1900 (7pm). This is located in Northern VA, at Manassas Regional Airport Terminal 10600 Harry J. Parrish Blvd, Manassas, VA. This part of the Distinguished Spearker Series an affiliation of the Smithsonian. Hope this helps out. I am also trying to contact Adm Shumaker to present him with the POW bracelet that was issued to me during the Vietnam War when I was a junior in high school in Pittsburgh Pennsylvania (1971) and that I wore religiously till 1973 and have kept all these years. I just recently decided to try and search for him on the web and found out about his amazing story and life. I consider it one of my greatest honors to have worn his POW bracelet and would be so grateful to send it to him. He lives in Fairfax station. A post card to; Robert H Shumaker, Fairfax station, VA, and requesting a complete mailing address from him would probably get a reply. I believe it best that he provide his mailing address rather than me posting it online. I also have Cmdr. Robert H. Shumaker’s POW braclet and a picture of him I cut out of the newspaper upon his arrival home giving the thumbs up gesture. I would love to be able to send it to him. I don’t know how many bracelets they made, but I also have his bracelet and would like to return it. So proud of what he did for our country. Could I get an address for him also? I have kept it all these years and would like him to know I had him in my thoughts and prayers then and now. Thank you so much. Out of all the military related things that happened to me or that I participated in, the one thing that stands out concerns Admiral Shumaker. Being an Army Brat, I considered wearing a POW bracelet a sacred duty. The day the homecoming happened, I took the day off work and my mother and I sat by the TV listening to the names. The man who’s name was on my mother’s bracelet didn’t make it. When they announced Admiral Shumaker name she and I both screamed, hugged each other and then went outside to the parking lot where an impromptu celebration broke out! The next thing that happened was I married a sailor and we went to a Navy Birthday Ball and Admiral Shumaker was the key note speaker. As we went thru the reception line and I was standing in front of him, I broke out crying and told him that I was never so happy to meet anyone before or since! We were so honored that he took time to meet with us. Later he was at the Naval Postgraduate School and I was able to hand him his bracelet. Even though years have passed, I still tear up when I see his name or picture! Meeting Admiral Shumaker has remained one of the high points of my life!